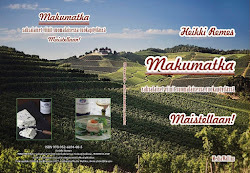 Spanish ice wine esCarche and Finnish ice cream made with wood strawberries are combined with special grapes and berries. Aromatic experience with two qualified and rare products is more just sum of its components. Ice wine has persistent and agreeably sweet aftertaste and wild wood strawberries have intensive and elegant aromas. Combination is harmonious, where taste is softer and well balanced. Harmony with the tastes and colors – wood strawberries on ice cream and aromatic ice wine. Ice wine is made out of overripe and frozen grapes. After the main harvest grapes are left on the vines to mature and ripe more. Better if vines are growing on a slope beside the river, where freeze and mists enters the grapes. When circumstances are frosty, grapes are picked. Meaning that temperature is between -5 ‒ -8 degrees Celsius, the water in the juice is frozen while the sugar is not. With frozen grapes there will be a lot of concentration and sugar content is really high. Picking the grapes by hand during winter circumstances is challenging work. Hand-picking occurs in the early mornings in November. The yield of this kind harvest is minimum compared to normal. Often the harvest gives some 5‒10 per cent of an average crop. 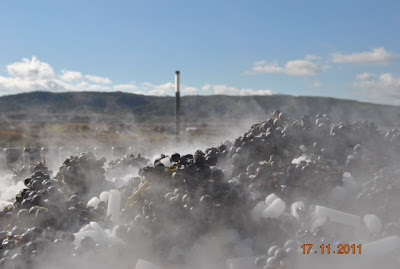 In the winery grapes are pressed immediately, while they are still frozen. The result of juice must is extraordinary and there is a profound concentration of sweet fruit. Fermentation is long and slow process, where sugar turns into alcohol. It is stopped when the alcohol does not allow to continue with the fermentation process. Result, ice wine, is unique one having great balance between sweetness and acidity. Mostly ice wine has high sugar level and less alcohol. Origin of ice wine comes from overripe frozen grapes. In Jumilla with Bobegas Hacienda del Carche ice wine is made nearly every year, thanks to warm summers and cold winters. EsCarche is ice wine, vino de hielo, made of Monastrell grapes in Jumilla from Bodegas Hacienda del Carche. Wine is made of overripe grapes which were hand-picked in the early mornings of November. Temperature is under -5 Celsius when the grapes are picked. Vines are growing in altitude of 700 meters and over 20 years old. The yield is 3,5 kg grapes for every 500 ml bottles. Wine has been left to age in Frenck oak barrels for seven (7) months. Total acidity with the wine is 5,3‒5,5 g/l and production of esCarche in 1000 bottles per year. Wine has salmon-pink color with redtile tones coming from oak. On the nose it is intensive and complex with bitter orange essence. On the palate taste is full, fresh with slightly sweet (100 g/l) touch. EsCarche is best when chilled between 8‒10 degrees. In Finland wood strawberries grow wild in the Southern and Central parts of the country. They grow on sunny and light places like glades, meadows and coppices. Ripe and reddish brown wood strawberries have natural and profound aromas when they are tasted just after picking. One ought to enjoy the moment when finding them, because when cured they become bitter. Wild wood strawberries have aromatic and inimitable taste that is one of the high lights of summer. Put strawberries and sugar to a blender and let them mix with the cream slowly. Use ice cream maker. Pour strawberry mix into the bowl and let the maker rotate some 15 minutes. Move the ice cream to a box and let the taste solidify in a freezer for one hour. Ice cream maker is marvelous and handy tool when making only a few portions. Wood strawberries with ice cream have sophisticated and aromatic taste.